Conference room requirements are high. It must be well equipped and stylishly furnished, to convince in terms of functionality and comfort. 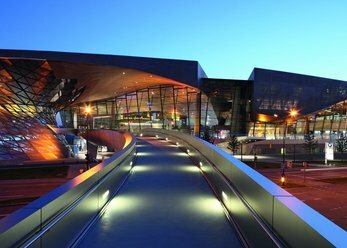 The following list presents you different facilities for conferences with more than 1000 people in Munich. Get an overview and select your favorite room! 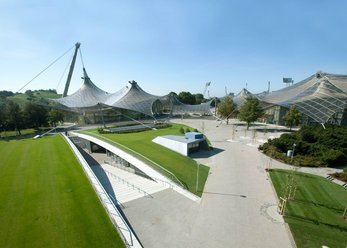 The BMW Group event Forum unites with the BMW world, the BMW Museum and BMW Group Classic unique spatial concepts for individual event experiences for up to 1,000 people. Hardly anything, this isn't: 6 different studios - partly with galleries and high ceilings - for all possible events - the Gala Awards, employee events, or even casual get together. 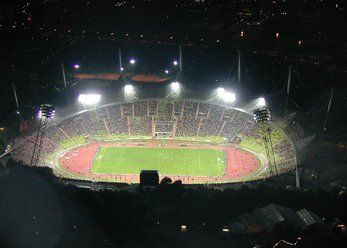 Brand new event location 2011! A foyer and a Hall for up to 4,000 guests, directly adjacent to the Olympic Stadium. The underground construction is a highlight, the supply of daylight is done through a generous glazing. Hall in a central location with excellent transport links and parking situation. Ideal for large events, annual general meetings, presentations and other professional events. Very flexible in the design for the Organizer. 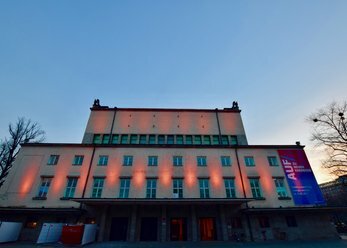 This historic Congress/Exhibition/party location from the 30's is located on the river ISAR with best connections to the public. 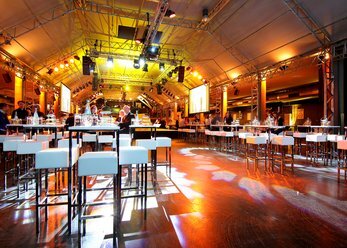 It can accommodate events from 50 to 900 guests and consists of 4 event zones (including a Club), the alone or in combination can be rented. The Hall offers excellent links to public transport and parking. 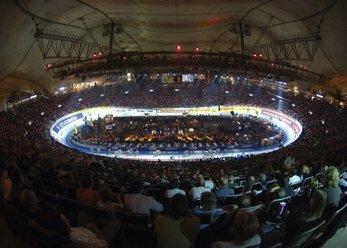 It is suitable for concerts and any other events, with up to 2,000 people. A gallery, as well as several bars are also in the location. Regardless of which topic: each Conference is about, finding adequate solutions and improvements. A large conference centre with several thousand square meters as well as useful features and comfortable furnishings is important to allow good cooperation the participants of the business events. In Munich, there are numerous conference centres that meet all these criteria. In the choice of the Conference Centre, it is important to take into account different characteristics. So even external factors such as the location and accessibility of the location play an important role. Most of the people invited to the Conference come by car. Therefore, parking should be available. Ideally, the Conference Centre by public transport is easy to reach. This convenience provides guests the opportunity to spend longer breaks in Munich's city centre, without being dependent on the car. Of other enormous importance comes to the room number and the room capacity. Depending on how many people take part in the Conference, it takes a very large room and several compact designed halls. 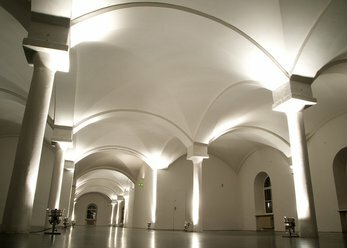 While the main Conference will take place in the great Hall, the smaller rooms serve as the collaboration and discussion of groups or as retreats during short breaks. The presence of specific halls is also correct. So, as a media room in the Conference Center should be. 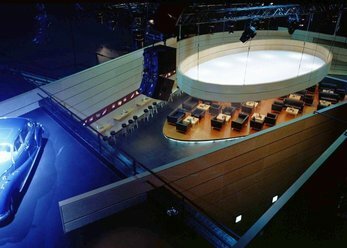 Munich Conference centers with huge space holds up to 17,500 sq m. The largest room has a space between 100 and 300 square meters at many locations. Next to the square, also the facilities decides whether the locality for the own event is suitable. A lectern be missing at any Conference. Is also needed at international events with participants from different countries a simultaneous translation system for understanding contact with each other. Supplementary equipment are, inter alia, beamer and screen. As a conference leader would ensure that all participants feel comfortable at your event. To ensure this, it needs a cosy Interior and a stylistic design that fits to the theme of the event. You should check especially the comfort of seats concerning the establishment. In a meeting lasting several hours, a pleasant cushioning is elementary. Also leather sofas and armchairs at the edge of the main hall or in the smaller space are desired. Can interruptions guests relax, lean back and relax. On the style you have various options. Times classic and elegant, even modern or futuristic designed are the varied conference centres in Munich. Also locations with typical regional or rural influences can be found there. 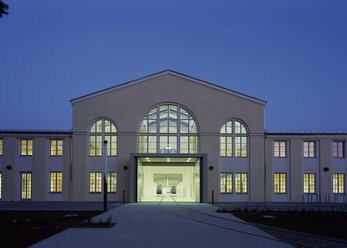 You want a Conference Centre with rooms in the art déco or Art Nouveau, you will also find in the southernmost city of in Germany. Even rooms in the Bauhaus or Biedermeier-style are available. We recommend you to adjust the location of your event in order to obtain harmony between outside and inside. Place special value on special extras such as an idyllic winter garden, a (roof) terrace or high ceilings, just specifically looking corresponding conference centres. A room you really like, you record the best contact with the provider by writing him an email through the form on our Web site. Click on your shoot and make your email request. Indeed information additional information, such as the size of the rooms (in sqm) in the details pane of the Conference Centre or whether there is a media room. Whether you are a health, sports, economic, or political event planning: there are many good reasons to book a Conference Centre in Munich for the event. The southern German city combines urban lifestyle and tradition wealth, making them interesting for guests from all over the world. Thus, the Conference can be often connect with a comprehensive city tour. Some conference centers are even close to the old town, where the vibrant Marienplatz square with its neo-Gothic new town hall, which serves as one of the landmarks of Munich. Our powerful search with the various filtering options helps you with just a few clicks to the right Conference Centre in Munich for your event on the subject of politics, the economy, to get health or sports. In addition you have the possibility of finding ideal locations for business or private events. For questions and suggestions you can record like contact us - by E-Mail using the contact form on our Web site.